Plymouth, MA….When a dielectric is required to maintain accurate finger spacing or for insulation, Tech-Etch can laminate materials such as polyimide. Polyimide can be die-cut and directly bonded in place or full sheet laminated and then photo etched for extremely accurate positioning. Parts can be formed after lamination of insulation. Tech-Etch also photo etches polyimide film into flat parts including non-conductive washers, screens, gaskets, insulation layers and liners, as well as haptics for intraocular lenses used in cataract surgery. For flexible circuits, the coverlay is the insulating layer of polyimide placed over the exposed conductors. It is typically constructed of a pre-cut piece of polyimide film laminated over the conductors using either acrylic or epoxy adhesive. Polyimide’s material characteristics make it ideal for corrosive environments. It also exhibits excellent physical, chemical and electrical properties over a wide temperature range. Tech-Etch offers complete prototype to production facilities for etching extremely intricate parts from polyimide film. Radiall’s expanded EPXB2 Bulkhead range now offers a fiber optic insert —F12C— which uses 12 LuxCis® Arinc 801 contacts. PEM® FHX™ self-clinching flush-head studs from PennEngineering® uniquely feature an X-Press™ thread profile enabling quick mating with push-on plastic nuts, wire tie products, or other plastic fasteners in thin metal assemblies. Their coarse thread design – larger threads relative to the stud’s diameter – reduces assembly time by allowing for easy mating of plastic parts and promotes especially high retention force. The thread design additionally accommodates paints and coatings without compromising fastener performance in service. The studs install permanently in metal sheets as thin as 1mm. They press easily into place using any standard press or can be installed automatically during the stamping process using an automated PEMSERTER® press equipped with in-die technology. Upon installation, the head of the stud mounts flush in the metal sheet for a clean and attractive finished appearance. Domed stud heads are available on special order. The studs are manufactured from hardened carbon steel and finished with zinc plus clear chromate as standard or a rust-preventive oil finish as an option. They can be supplied in 5mm or 6mm thread sizes and in lengths from 10mm to 25mm. Detailed specifications, fastener drawings and 3D models, and performance data (Bulletin FH) can be viewed and downloaded for free at www.pemnet.com. Wall Industries, Inc. has recently introduced a new line of industrial robotics components. We now have several DC/DC converters and corresponding transceiver modules that work together to ensure efficient and effective use in industrial robotics systems. Which Backlight is best for your application? between the refractive index of the core and its surrounding cladding must be maintained. overall assembly height needs to be at a minimum. from one location to another, by using total internal reflection of light at the boundary to the surrounding medium. optical fiber is an example. concentration. This makes them ideal if the LED is mounted on an intermediary board behind a font panel. emitted light with excellent visual performance. Backlight and determine which are most important to you overall application design. backlighting options can be brighter than others and some you can control the light output. and width are important, but consider depth as well. Cost Requirements – How much are you willing to pay for your backlight? MEGA’s updated website is more user friendly than ever before. With easy access to product lines, downloadable content, and product certifications your sure to get the answers you need. As most of you already know, Hoffman and Schroff brands will become part of nVent on April 30, 2018. We will have the important mission of driving customer awareness about the value that this standalone electrical company brings, and the value that the Hoffman and Schroff brands offer our customers as part of this enterprise. Being a separate company means we will be highly focused on helping customers connect and protect their electrical systems in facilities where the cost of failure is high and electrical performance is crucial. For more than a century, our inventive products have provided solutions to customers. We invent. We innovate. It’s our legacy. Hence the name, nVent. This is an exciting change for both the organization, and our customers. It is important that we proactively communicate with our customers, and we will need our reps and channel partners to help us with this endeavor. Aluminum and stainless steel microPEM® TackSert® pins from PennEngineering® provide cost-effective alternatives to micro screws for attaching top panels to base panels or chassis in compact electronic assemblies. They will attach top panels of any material to a base or chassis manufactured from common cast metals (such as magnesium and aluminum) or plastics (such as ABS and printed circuit boards). The pins ultimately eliminate many of the costs and issues associate with screws and integrate unique design features promoting reliable and effective performance. TackSert® pins offer multiple advantages over screws by eliminating needs for mating threads from tapped holes or inserts and the rework frequently required due to screw cross-threading and driver bit “cam-out”. Patches intended to prevent fastener loosening in service are unnecessary. Among design features, a tapered tip assists in pin location during the installation process, a specially engineered diagonal broaching knurl (instead of threads) creates a firm interference fit without hole-tolerance issues, and a low-profile head minimized protrusion on the top panel. The TackSert® fastener family includes TK4™ pins (400 Series stainless steel) fro broaching into castings, brittle materials, printed circuit boards, and plastics and TKA™ aluminum pins for broaching into printed circuit boards and plastics. The fasteners are available in a variety of lengths to accommodate a range of top panel thicknesses. Press-in installation without heat or ultrasonics is achieved simply by preparing properly sized mounting holes in the top sheet and base panel or chassis, placing the pin through the hole in the top sheet and into the through or blind mounting hole of the base panel, and then applying sufficient squeezing force using punch and anvil until the head of the pin contact the top sheet. Pins can even be installed automatically for high volume jobs. FEP heat shrink tubing is used in various medical applications. FEP’s beneficial properties, such a lubricity, clarity, chemical resistance as well as favorable anti-stick surface makes it an excellent choice for reflow processing of catheter shafts, coating surgical instruments, encapsulation, dielectric, insulation, etc. Optinova offer two versions of heat shrink tubing, 1.6: FEP HS & FEP QuickShrink™ 2.0. Both versions are available in customized sizes and from our stock of specially selected dimensions. Unique features of the FEP QuickShrink™ 2.0 are the fast shrinking process that gives shorter production cycle and lower production costs. Also, FEP QuickShrink™ 2.0 has a low and adjustable shrink temperature between 80°C-170°C (176°F-338°F). The low shrink temperature makes FEP QuickShrink™ 2.0 an ideal solution for processing of materials with low melt temperature as overheating can be avoided. Optinova has built its recognition in the medical tubing field around high quality and batch-to-batch consistency. All new medical power supplies need to pass 60601-1-2 4th edition starting December 31, 2018. Click here for the link to the new MEGA Electronics catalog for the new 60601-1-2 4th edition power supplies. 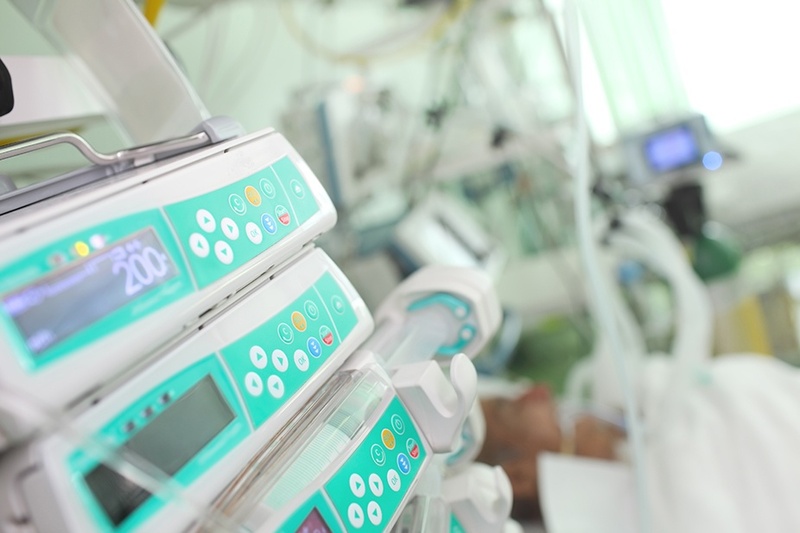 These new standards will impact medical device manufacturers as well as the power supply manufacturers. Although the transition date is now set for December 31, 2018, UL Medical EMC experts advise that FDA’s publication “Design Considerations for Devices Intended for Home Use –Guidance for Industry and Food and Drug Administration Staff” suggests using the 4th edition of IEC 60601-1-2 for Home Healthcare environments now to cover test levels which may not be appropriately addressed in the 3rd edition. Following are some of the key changes in the 4th edition. Need CISPR 11 Class B emission, IEC 61000-3-2 Class A harmonic distortion, and IEC 61000-3-3 voltage fluctuation and flicker. The home use equipment needs 10 V/m, 80 MHz to 1 GHz immunity. Additional testing per ISO 7137 and CISPR 25 applies. Most tests are required to be performed at one nominal voltage only. Only voltage interruptions need to be performed at maximum and minimum voltage if the rated voltage range is >25% of lowest rated input voltage. Wall Industries offers standard, modified-standard (semi-custom) and fully custom power supply and converter design capabilities. Converter and power supply designs and products fall in line with industry specific manufacturing and design standards including: Cisper specifications, UL60601-1 and Mil-Std-1275 for Military Vehicle standards, to name a few. Wall prides themselves in their ability to modify standard power devices and deliver high-performing custom power solutions in the quantities you require. With complete design and engineering services, short turn-around times and a genuine eagerness to help you, should you get to know Wall better? 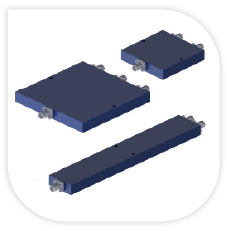 Radiall’s new offer of coaxial power dividers is perfectly suited for integration in systems that require power division or combination of radio frequency signals. The coaxial divider range is part of Radiall’s global Test & Measurement offer which includes high performance switches, Test Pro cable assemblies, and platinum terminations and attenuators. Stock Drive offers over 100,000 power transmission components, including gears, belt and chain drives, shafts, shaft accessories, bearings, couplings, universal joints, vibration mounts, miscellaneous components, hardware, gear heads and speed reducers, right angle drives, brakes and clutches, motors and gear mounts. MicroEtch® Screens are manufactured by Tech-Etch using photo-etching or photo chemical milling technology. Unlike stamping, photo-etching yields a burr-free product resulting in cleaner more efficient screens with greater material integrity. These superior quality screens feature tighter tolerance hole sizes and greater dimensional stability than woven wire mesh, which makes them ideal in applications requiring frequent cleaning or in devices where there is mechanical contact. Unlike woven wire mesh screens, the fixed photo-etched opening will not change through use. Photo-etching also enables designers to specify a conical hole, which facilitates liquid filtration and back flow cleaning. Typical Applications of MicroEtch® Screens are filters used in the medical market, hydraulic valve screens, fuel filters, laser light filter, extruding screens, as well as particle separation and sizing. These tight tolerance screens are primarily produced from Stainless steel, but other materials are available. Designed for in-line disconnect applications on commercial aircrafts and business jets, QM series is the first aerospace QuickMating connector range. The QM series is widely used in today’s market due to its compact design, quick installation features and high aerospace performance. QM series is available in several shell formats- QM size A and size B, in order to optimize density and weight in the wiring system. QM shells also allow easy installation with a unique range of mounting device, this range includes stand alone devices and single and double sided rails. The combination of reduced weight, compact size and intelligent and intuitive design create an ultra light connection requiring only fingertips for quick and easy connector mating. With the flexibility of EPX™ series parts combined with the innovation of QM series, customers receive a cost effective and user friendly solution. Optinova is a world leaders in precision extrusion of tubing for medical applications. Examples for medical include fluoropolymer extrusions and a wide variety of thermoplastics. Optinova also specializes in industrial applications. Examples for extruded tubing solutions range from the smallest tubes in electrical and automotive industries, to large diameter chemically inert tubes used in production industry. Precision extrusion for the medical device industry, with tight tolerances and diameter range from “as thin as it get” to 12mm. The excellent production in clean-room facilities, or controlled environment, is a prerequisite for Optinova being a trusted partner when delivering components and products for medical applications. Learn more about some of the new and innovative products we represent. PEM® TY-D® Self-Clinching cable tie-mounts and hooks create secure metal attachment points for mounting wires and cables to electronic chassis or enclosures. The hardware installs quickly and reliably in thin steel or aluminum panels, eliminates any need for screws or adhesives and can be positioned permanently at specified locations and angles to promote optimized layouts. On the reverse side of hardware installation, panels remain smooth without protrusions to enhance the appearance of an assembly, maintain clearance requirements, and protect against potential EMI / RFI interference or contamination of electronics by dirt or dust. PEM® TY-D® hardware includes TD™ cable tie-mounts and TDO™ hooks. Both types are RoHS compliant and offered in several sizes for installation in metal panels as thin a .040″ / 1.02mm and as thick as .125″ / 3.18mm. TD™ tie-mounts allow users to slide ties easily through the hardware’s “eye” for fast cable mounting. TDO™ hooks enable users to attach, remove, and return tie-bundled wires at their mounting points when components need to be accessed for service or when wires or cables must be replaced. The hook feature allows ties to remain intact and wires to remain wrapped. With increased miniaturization of electronic components and increased circuit density, today’s electronics generate more heat than ever, and this trend continues at a rapid pace. Typical examples included handheld computing equipment, user interface devices, medical and lighting devices, and power inverters. The basic solution is to transfer heat from the heat source to a frame, chassis, heat sink or other type of heat spreader for diffusion. The important material property is thermal conductivity, which enables heat and energy transfer. But ease of installation and rework are also important considerations. If heat is not carried away from an electronic device, the reliability and operational lifetime of the component can be significantly reduced. Heat sinks and fans are standard mechanical solutions, but interface materials between the heat source and the heat sink can play a significant role in efficiently removing heat as well. There are several different types of materials than can be used, based upon the application. Thermal greases, glues and adhesives are one set of solutions. However, they can be messy and difficult to apply. Also, they often yield inconsistent results based upon the variability in their application. Often referred to as Thermal Gap Pads, these flexible sheet products are typically made of silicone based materials with fillers. They vary in thickness and other dimensions in order to be precisely fit between the heat producing device (e.g. the heat source) and the heat dissipation device (e.g. the heat sink) Due to dimensional stability of these solid materials, they can provide a more consistent, measurable solution over their more viscous counterparts. Due to their compressibility, they offer complete surface-to-surface contact. TE SWFR single wall heat shrink tubing is offered in two very flexible types. X2 is a thin wall tubing, and X4 is a very thin wall tubing. The thicker wall of the X2 offers better protection, while the space-saving thinner wall of the X4 permits denser packing of protected components and a faster shrink time to better protect against thermal damage of temperature-sensitive components. Both types are halogen free, permitting their use in enclosed spaces where toxic gasses from burning materials containing halogens are undesirable. SWFR heat shrink tubing’s high degree of flame retardancy allows it to carry UL VW-1 and CSA OFT flammability ratings. High flame-retardant, it is an excellent candidate for applications in appliances, motor vehicles, commercial electronics, and consumer electronics given the increased focus on consumer safety. Environmentally friendly. Emits minimal amounts of toxic or acidic gasses when burned, making it appropriate for use in enclosed areas. Electrically insulates and mechanically protects components and other electrical connections and termination. Low shrink temperatures permits quick installation and reduces the risk of damage to temperature-sensitive components. The X2 thin wall version shrinks quickly, and the X4 very thin wall version can shrink more than twice as fast as the X2. With sizes from 0.8mm to 30mm and two different wall thicknesses, this very flexible tubing is suitable for use in a range of applications. High reliability, thin and light weight flexible interconnect for critical applications. The new simplified design is guaranteed to help you find the products and resources you need with fewer clicks and better results than ever. Now the fastest online connector resource fits right in your pocket. Check out the responsive design that can now go everywhere you go. Use your mobile device or tablet to experiecne the upgrade and access product information anywhere, anytime. An update has been made to our user tools. Visit the resources menu on the website to explore the Radiall Product Finder, Document Library, Distributor Inventory, Cross Reference Tool, and our RoHS Compliance Status tools. User tools can also be found on all product pages. For example, on the Mulitpin Aerospace Connectors page you can find the Multipin Connectors Full Line Catalog, Product Finder, Cross Reference Tool, and links to the Multipin Aerospace Connectors sub categories. New product tutorial videos have been released. Check out these new videos here and check back as they are constantly creating new content. Designed to guard against accidental disconnection of computers, PDUs, servers and most network devices, the new IEC Lock adds additional flexibility and ease of use, as well a LSZH (low smoke zero halogen) compatibility, to its list of features. The beautifully straightforward high-visibility locking mechanism is combined with a simple release mechanism which allows for disconnection from all sides. Ideal as a retrofit solution, it requires no other equipment or special inlets to secure it, simply plug it into an appliace as you would a standard IEC lead. The red cage release mechanism also marks the connector out from standard IEC leads to allow maintenance and other data center staff to identify critical power sources. Its slim design means it can easily be implememnted in areas where access is limited and ease of removal is of paramount importance. Its LSZH attribute is cruicial for critical applications in military, broadcast, transportation and data centers.